Most people tend to throw away their stuff after they get wrecked and are not usable anymore. But they don’t understand that just because they are damaged doesn’t mean they can’t be used. 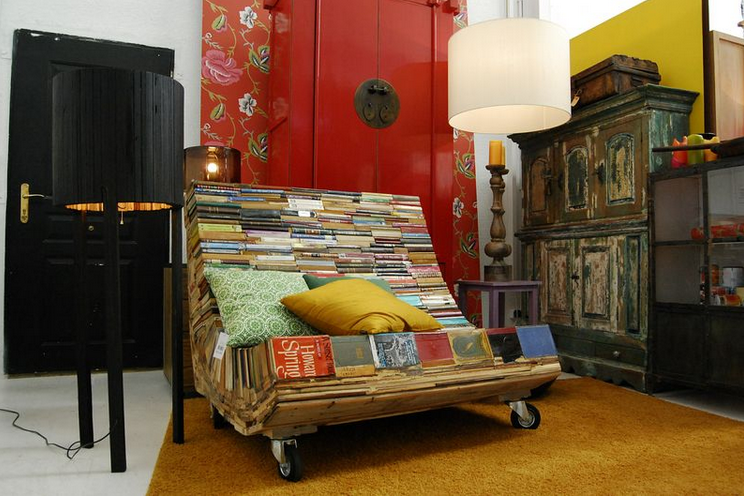 There are a lot of items that people consider waste but if they are used creatively, they can be re-purposed. So why to throw away your old stuff when you can actually create many useful items using them? Here are the 25 amazing ideas that will help you breathe new life in your old stuff. A garbage picker found a piece of trash resembling a violin and made a violin out of it. 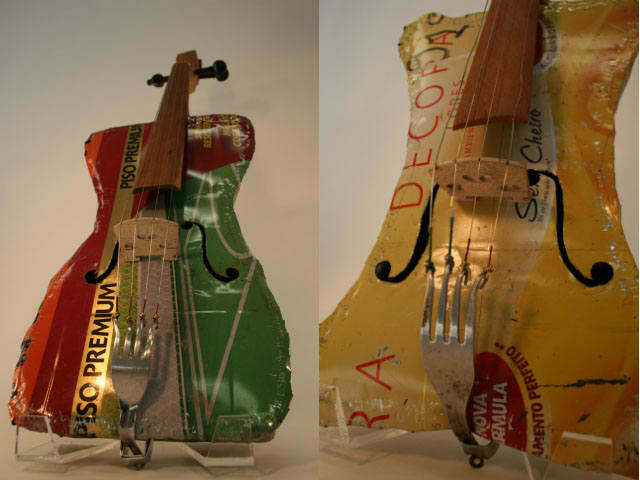 You can also make such musical instruments out of trash. 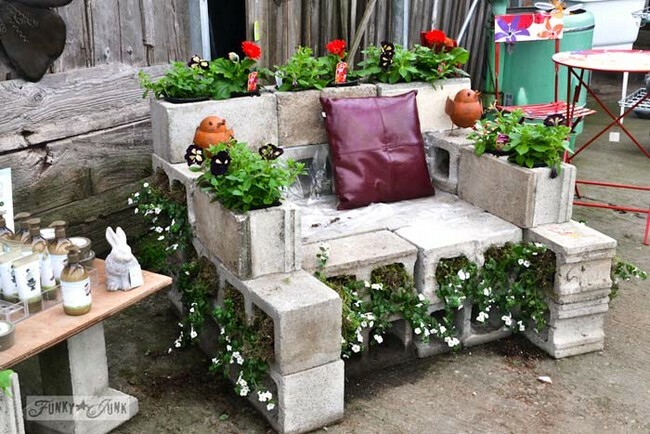 Use the old cinder blocks to make a cinder block chair planter for your garden. 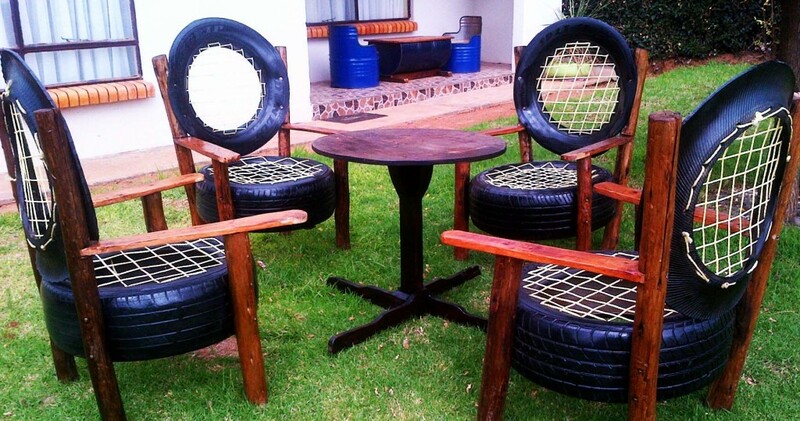 You can re-purpose those old tires and make chairs out of them! And it won’t cost you much. 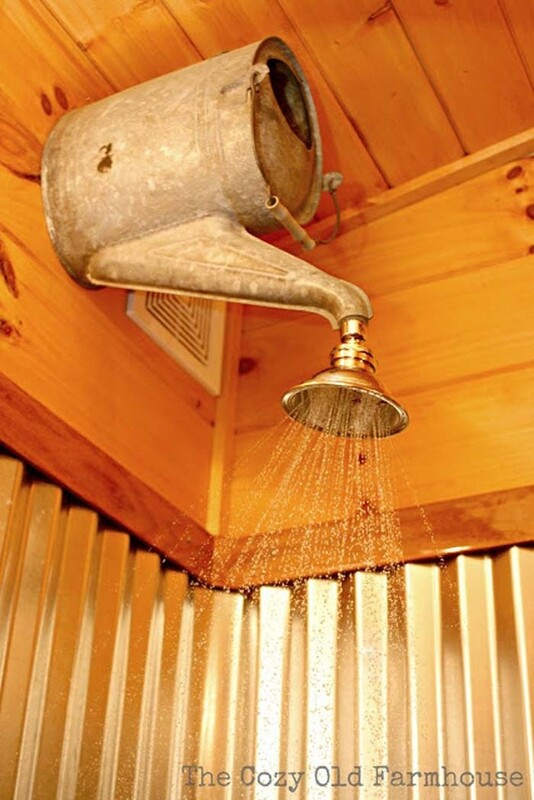 And if you are bored with your old shower and want something unique, here is the idea of using the old watering can as a shower! 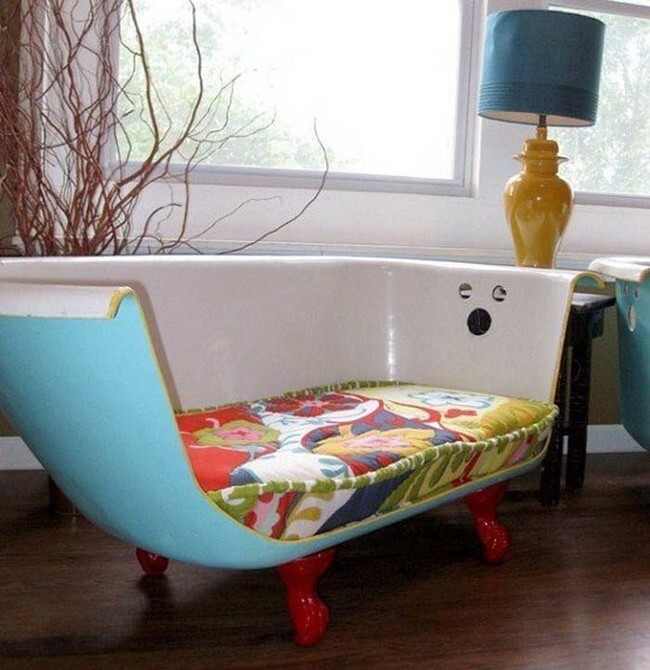 Get a sofa made out of the old bathtub after you replace it with a new one. Don’t forget to use professional services because this can’t be done all alone! With the increasing usage of e-books, real paper books are being thrown away by people. If you are a book lover, you can make an interesting patterned chair using those old books. Another creative idea for all the bookaholics to use their old books. 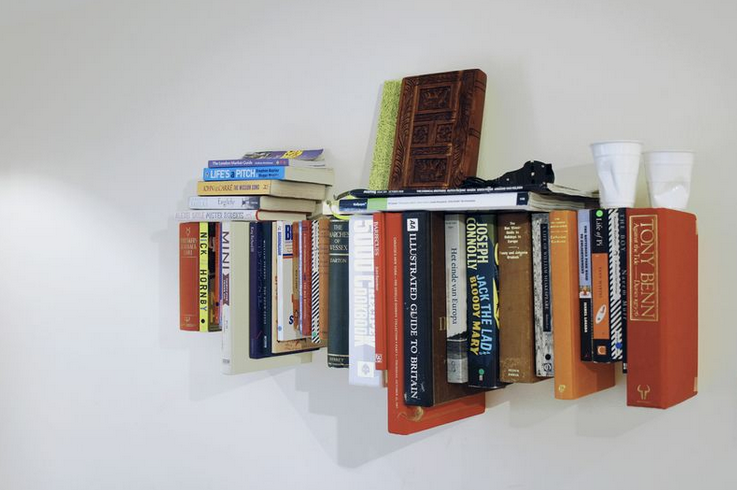 A shelf made of old books to hold the newer books. Amazing! 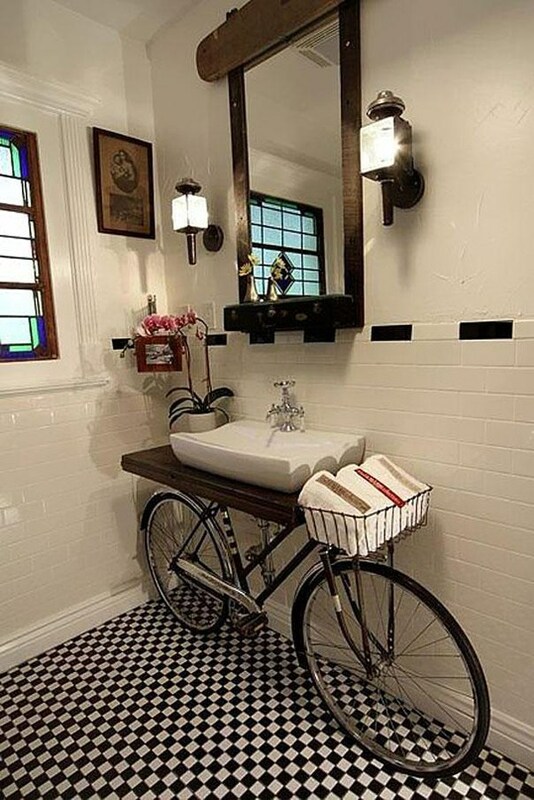 This old cycle can be placed in your bathroom as shown in the image. The cycle’s basket can be used to hold towels/tissues. This looks really artistic! 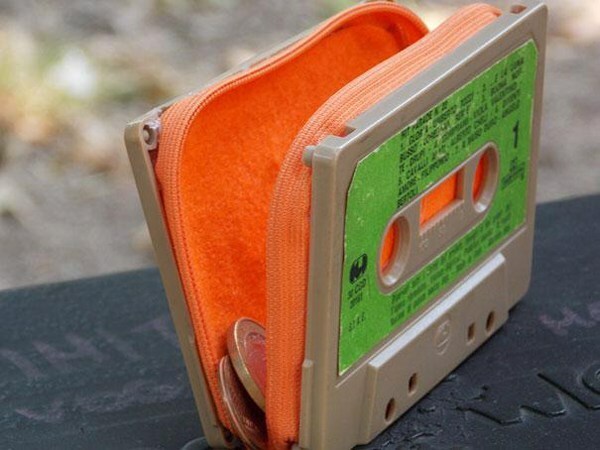 Convert your favorite old cassette tape to a coin purse! We all have those old rackets in our storehouse which are no longer used. 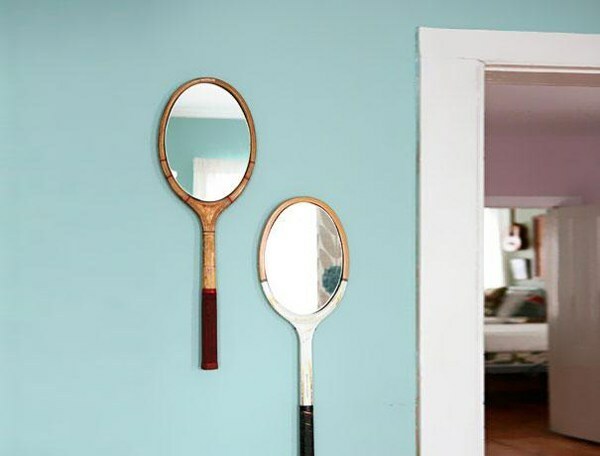 You can re-purpose them and make artistic mirrors using them. 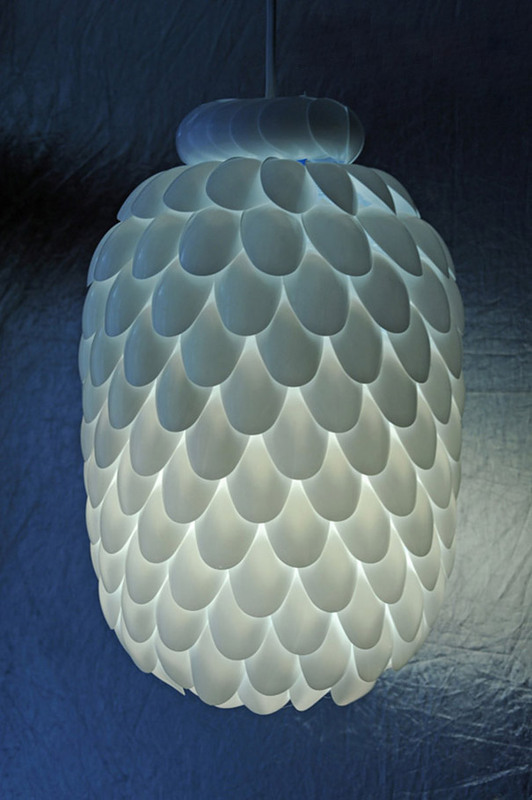 The old plastic spoons can be used to make a night lamp for your living room. 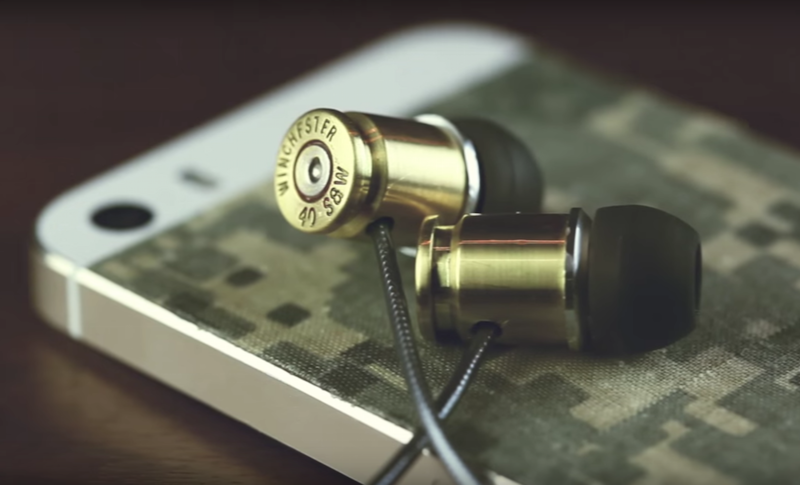 Who can imagine that the bullet shells can be used in such a way!? 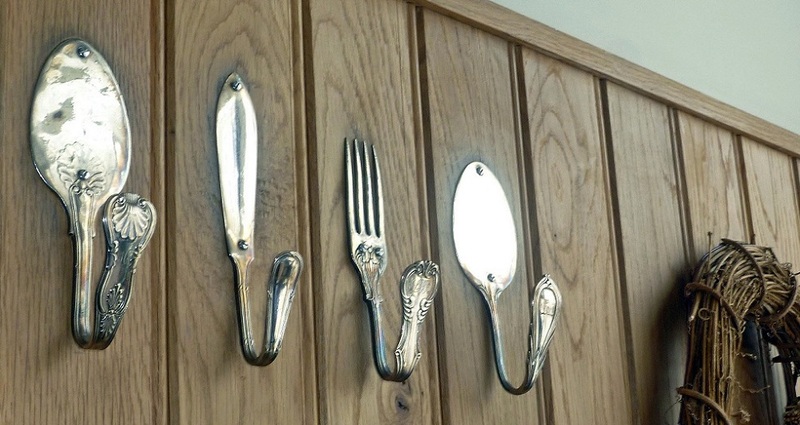 Probably the old spoons/forks can’t be used in a better way! 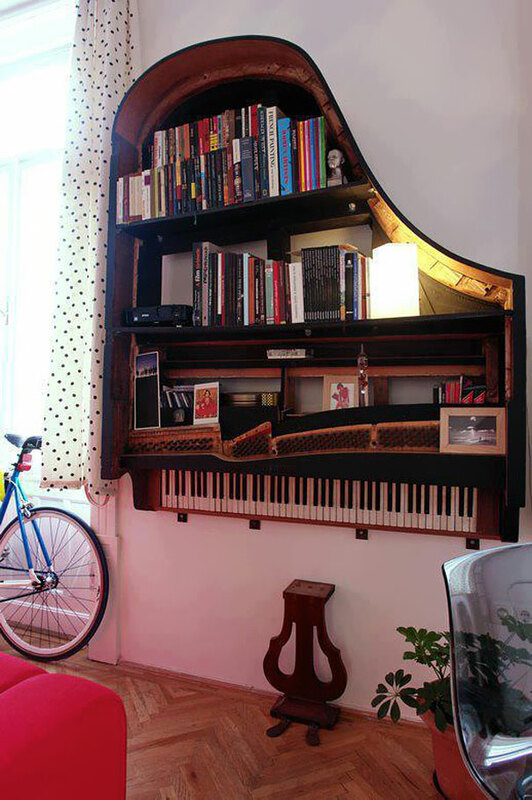 If you also have an old piano which is not useful anymore, it will be a great idea to transform it into a wall shelf! There can’t be any better use of an old boat! 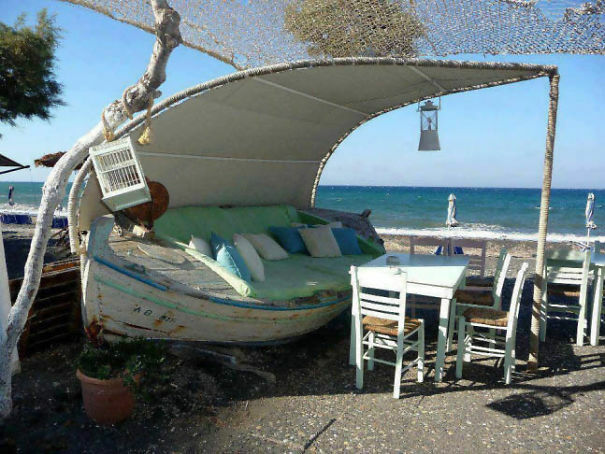 An amazing idea to make a sofa out of an old boat to relax at the beach! #Gift Your Pet A New Bed! Now you don’t need to buy a new bed for your pet! 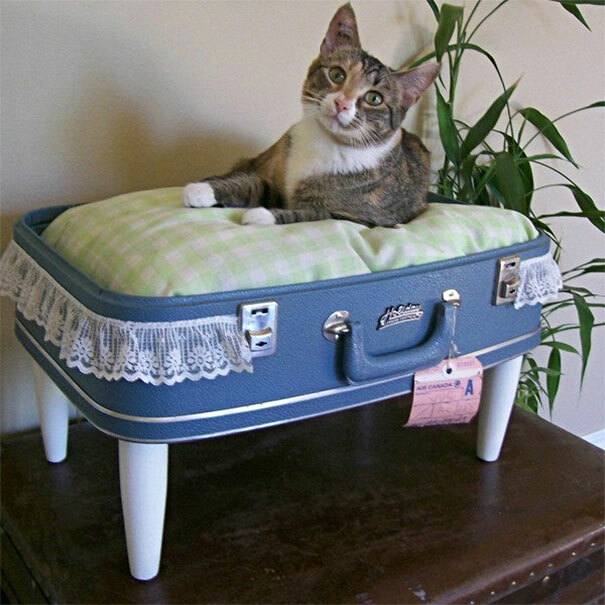 Convert you old travel luggage into a bed for your pet! 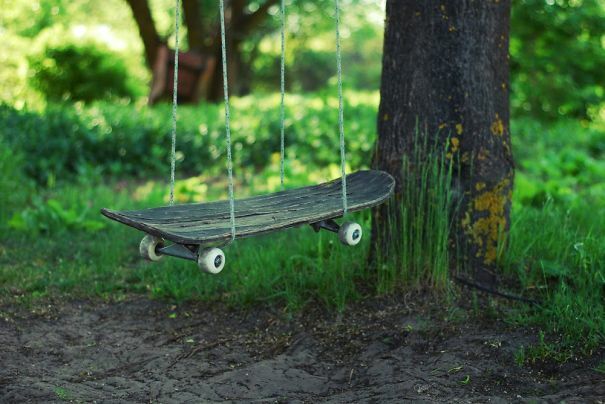 Use the old skateboard to make a swing for your children. With this cork keychain, you won’t lose your keys while chilling at the poolside. Don’t forget to test that in a glass of water because some corks are too old to float. 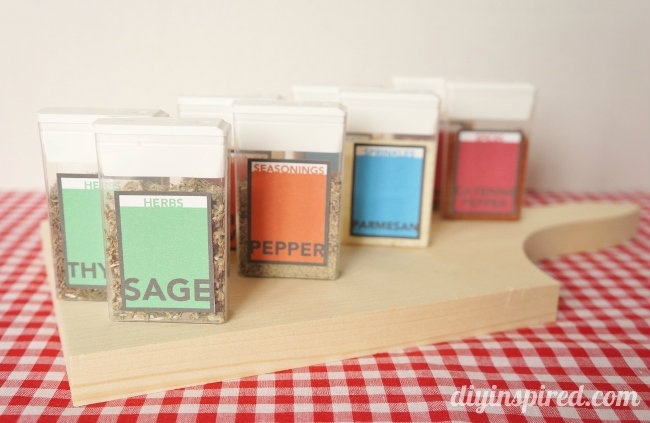 Your Tic-Tac packets will prove to be the best containers to keep your spices! 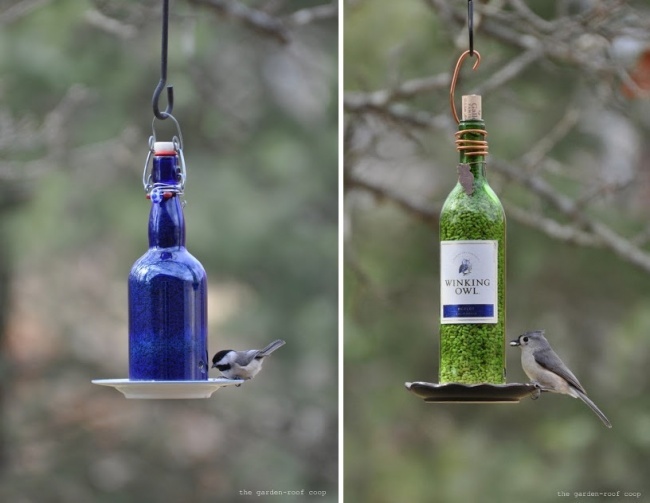 Make a bird feeder out of any empty wine/whiskey bottle and it will cost you nothing. This will surely make the birds happy! 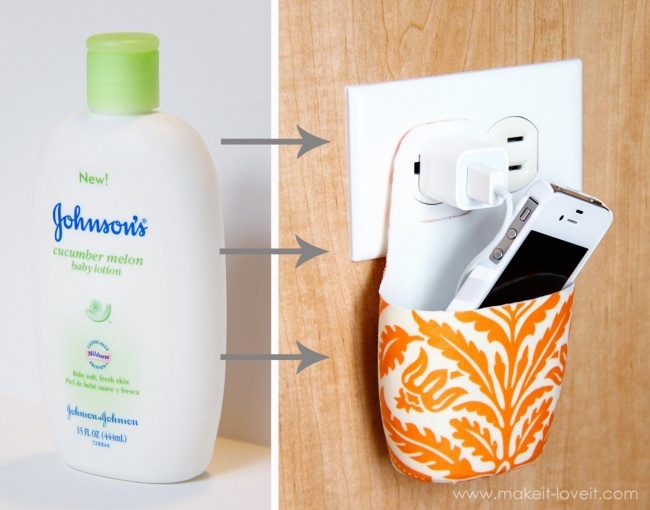 Make a cell phone holder to place it while charging. 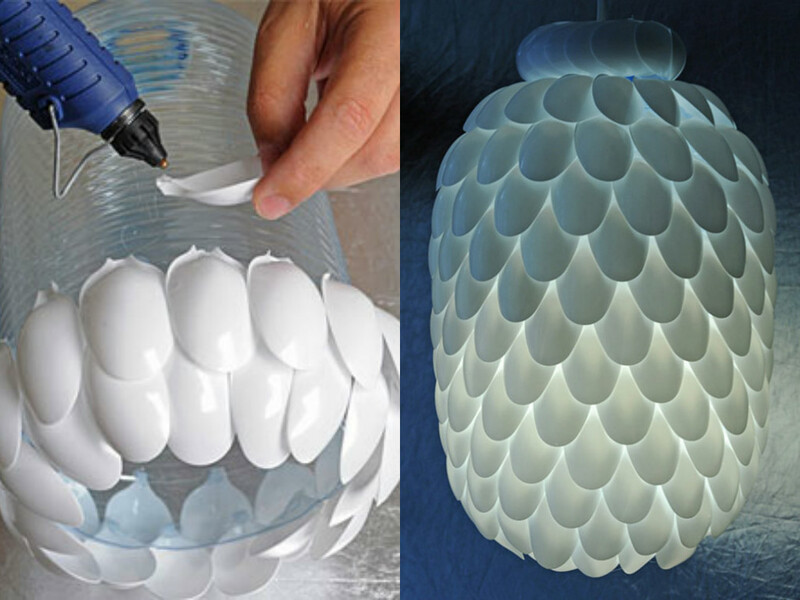 Cut the bottle in that shape, paint it as per your imagination and it’s done! Your old useless fridge can be used as a storage unit. 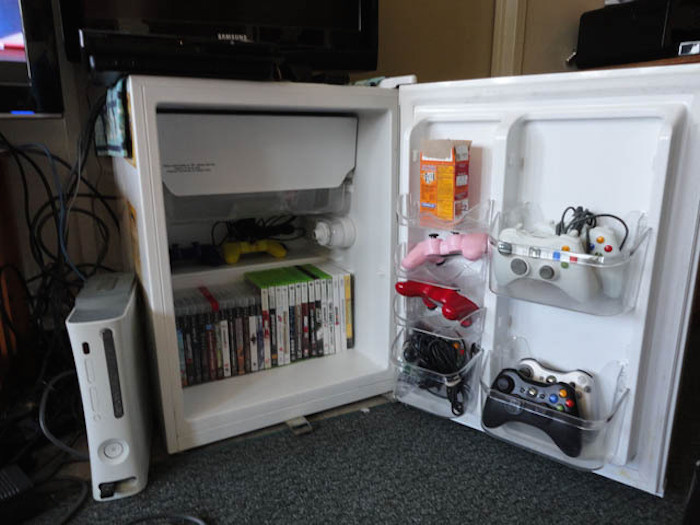 This is how a gaming maniac used his old mini fridge. 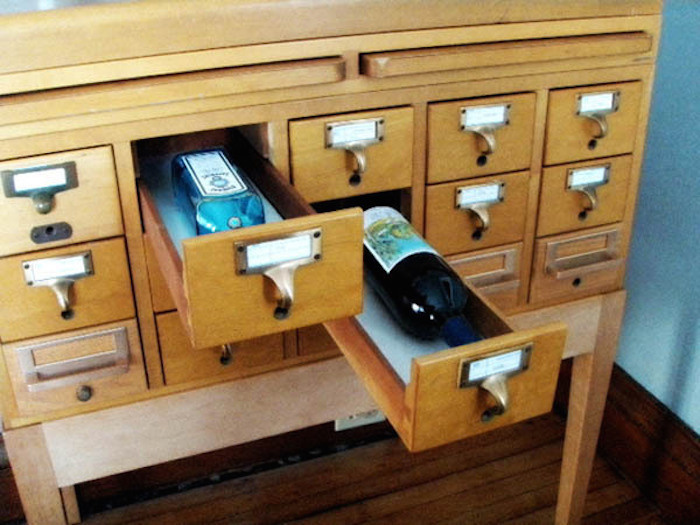 The old card catalog can be used as a cool mini bar. You can fill each drawer with a different bottle of liquor/wine. After your kids grow up, LEGOs become useless. 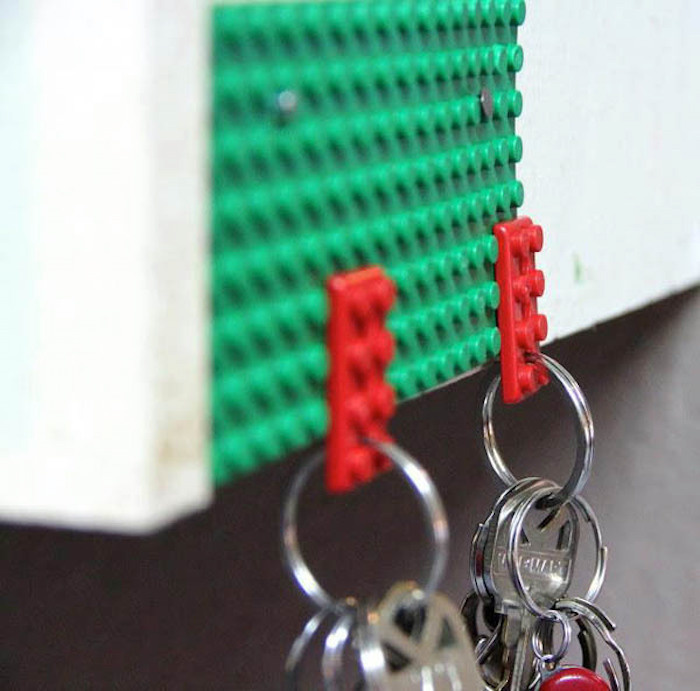 You can still use them and make a cool key holder out of it. We all have got a keyboard that doesn’t work anymore. But you can still use the keyboard buttons to make things like shown in the image.